Beauty treatments are a special treat for me and whenever I can save a few bucks it's even better. There are two great deals for taming your eyebrows at the Shops at Montebello. The first is free and the other is only $5! Here's to beautiful brows! 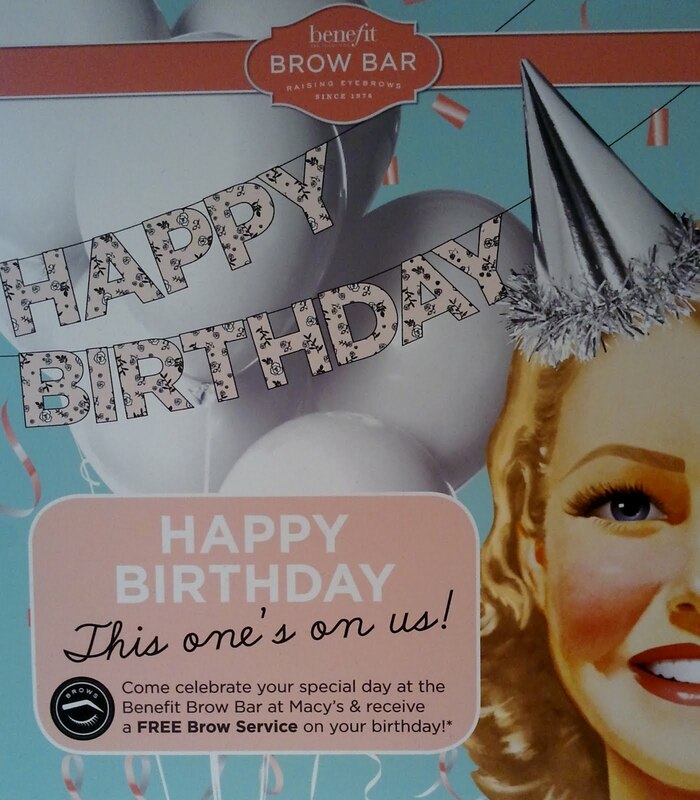 Benefit Cosmetics offers a free eyebrow waxing, a $20 value, during your birthday week! The Brow Bar is located in Macy's, call 323-201-2111 to make an appointment or walk-in and they may be able to take you if it's not busy. This offer is good through the end of the year, sorry Spring/Summer birthday people. 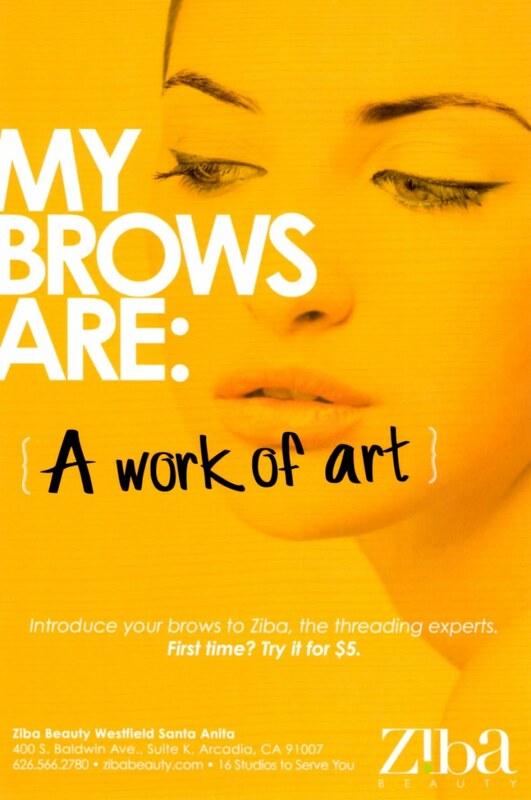 Ziba is a new store that offers hair removal by threading. The first eyebrow treatment is $5. Ziba is located upstairs near Forever 21. 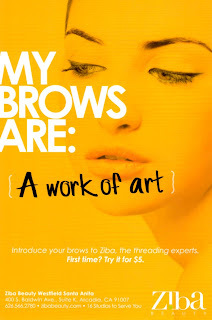 There are usually a few threading experts available and getting a walk-in appointment is never a problem.